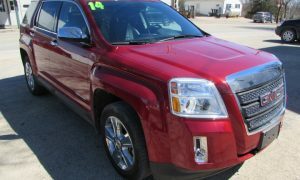 Gary’s Auto offers Salvage Title, Prior Salvage (Rebuilt) Title, Clear Title, Junking Certificate and vehicles with Registrations for sale. The majority of our vehicles come from Auctions but we also have a few trade-ins from time to time. There may be little to no damage (as with a rejected repairs or Trade-Ins) to extensive damaged vehicles. Some of the causes may be accident, vandalism, hail and water just to name a few. Please stop by often to view the ever changing selection of vehicles we have.